Mission Models has quickly earned an excellent reputation as a producer of uniquely formulated, high-quality acrylic hobby paints. 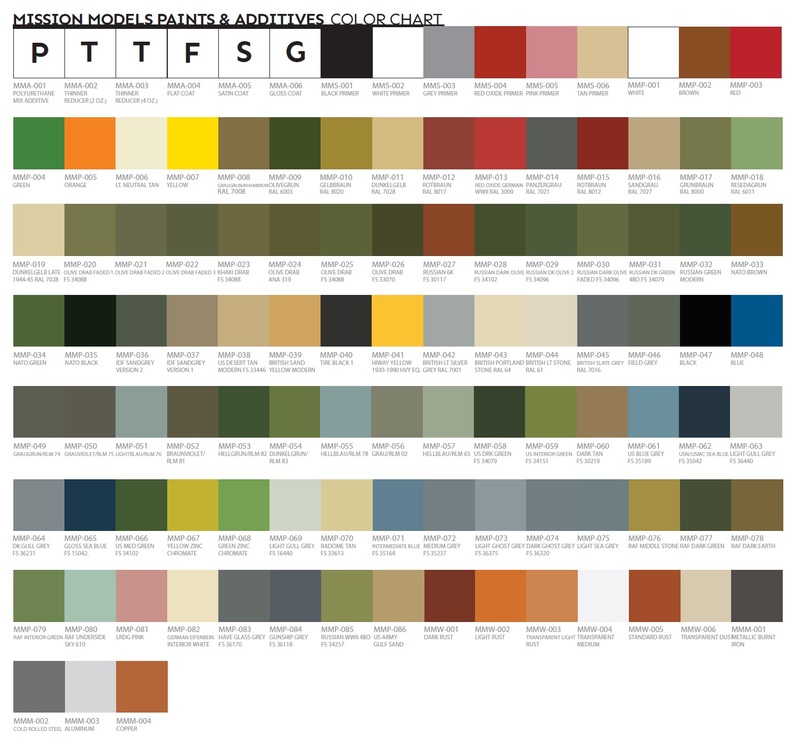 Ideal for military model builders, Mission Models offers custom blended colors designed to perfectly replicate specific paint schemes for ultimate realism. In addition to our incredibly broad line of 54 colors and 6 primers, we are pleased to include Mission’s exciting new Aircraft paint line, featuring an amazing array of 53 colors to help you capture every detail of your aircraft project with unparalleled accuracy. Like the rest of our Mission Models line, the Aircraft line is sold in 1 oz bottles. Mission Models Premium Hobby Paints are the centerpiece of a complete yet simple finishing system. Triple-pigmented for maximum opacity, these high-quality acrylic paints are lightfast and will not fade over time. 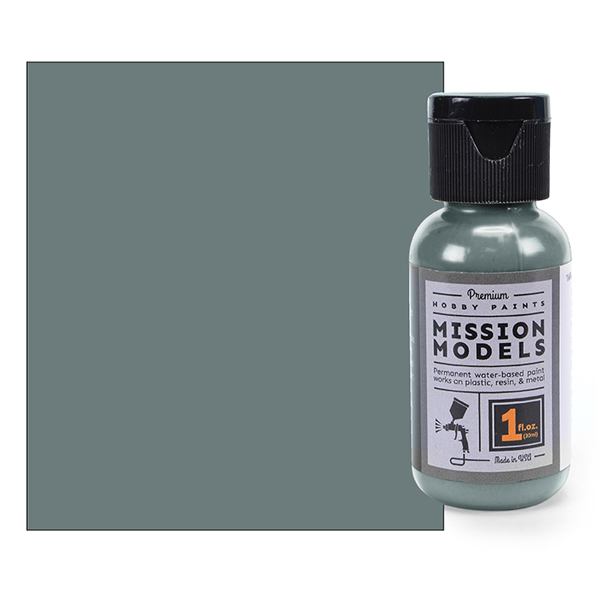 ­Mission Models' water-based formula does not include any unnecessary additives to create a straight-from-the-bottle, airbrush-ready paint. This means there are no shelf-life issues, premature chemical breakdowns or other disappointing surprises that occur with pre-thinned paints. If you desire an even lighter consistency to your paint, Mission Models Thinner is designed specifically for use with all Mission Models paint products to produce the finest finishes possible. For your online shopping convenience, we’ve grouped our Mission Models paints into 3 groups. Find them using the search field on our website. For 10 Primary Colors, type "MM Primary;" for 44 Specialty Colors, type "MM Special;" for 53 Aircraft Colors, type "MM Air."